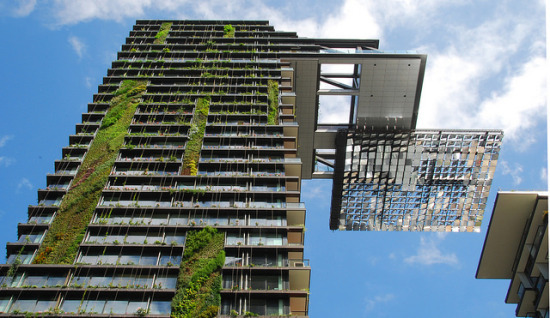 The Council on Tall Buildings and Urban Habitat (CTBUH) last night named Atelier Jean Nouvel‘s One Central Park (OCP) in Sydney the year’s best tall building. 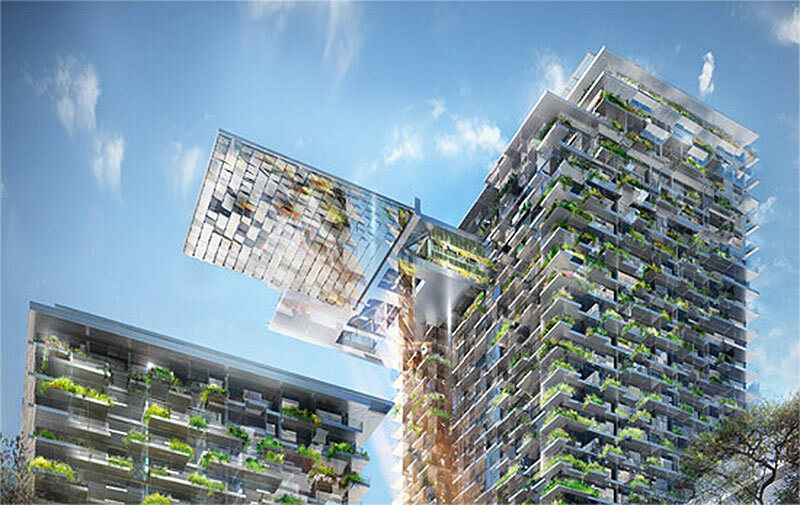 OCP turned the site of a former brewery into a residential high-rise lush with hydroponic hanging gardens and a massive mirror cantilevered over the building’s courtyard that harvests sunlight for heat and lighting year-round. 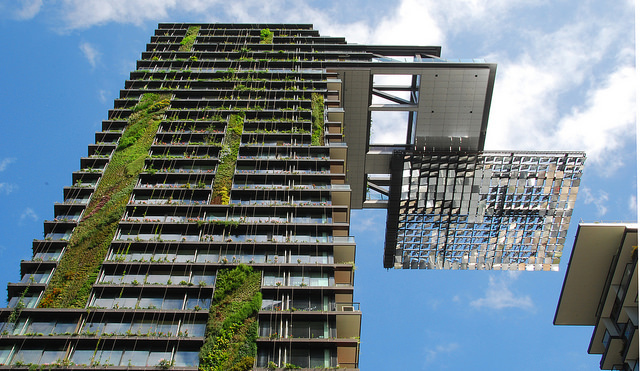 One Central Park, considered the world’s tallest vertical garden, bested projects from SOM, OMA, and Cutler Anderson Architects for the award. Those buildings—a twisting tower in Dubai, a melded mass of high-rises, and a midcentury office tower reborn as a green icon—each won regional awards from CTBUH. 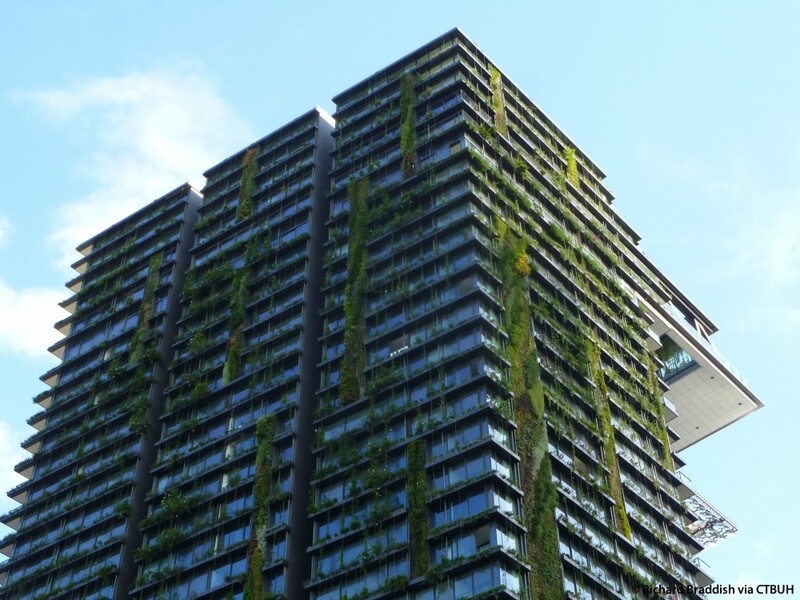 But One Central Park’s use of greenery by botantist and green wall guru Patrick Blanc won the day. Read more about the building on CTBUH’s website. OMA’s CCTV Tower in Beijing won last year’s competition.